The PRC-25 VHF low band radio came out during the Vietnam ear. The front panel connector labeled POWER allowed the radio's battery to be disconnected by taking off the jumper cap and connecting an external source of the two voltages needed to run the radio. In addition the Mike input, headphone output and Push To Talk lines are brought so that the AM-2060 Audio Amplifier-Speaker/Power Supply sitting on the MT-1029 Mont can be used for vehicle applications. Pins A, B, C, and D are the same 1:1 as the AUDIO connector. It's strange that AUDIO pin E (RETRANS) was not brought out on POWER pin E, but instead POWER pin E is the +12 - 15 Volts to the Function switch. If you know why they did this let me know. The PRC-25B was made by modifying a PRC-25 so that it would have wider bandwidth to support multiple telephone channels. To do this some of the unused pins on the POWER connecter were used for wide band audio input and wideband audio output. The cap on the PRC-25 has jumpers that connect the battery common negative terminal to the radio, the +12 volts from the battery to the radio ,and connect the low voltage battery to a few different parts of the radio. 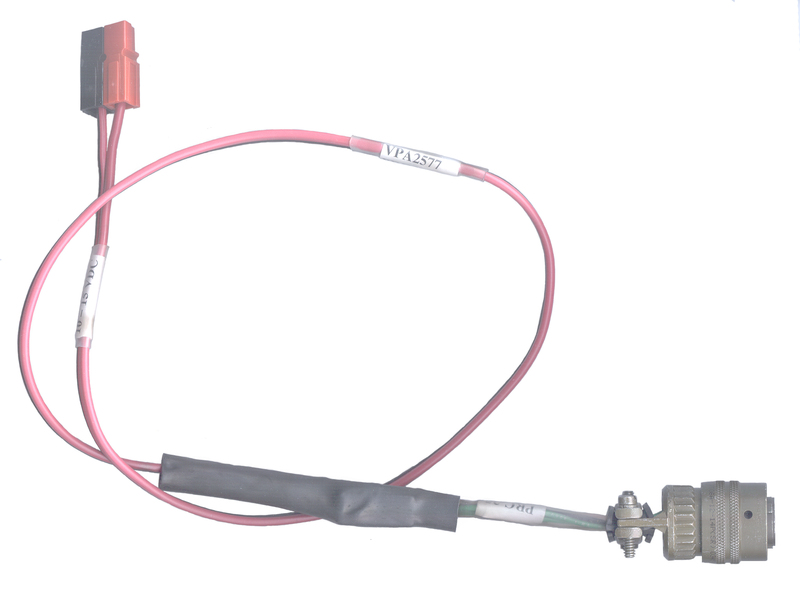 If this "Z1" jumper cap was missing you could wire the male connector in the Power Connector Kit to make a substitute. This same cap is used on the PRC-77. But a different cap probably is used for the PRC10xx series radios so that they can utilize the low voltage pins for other things. This cap MUST be connected in order for the radio to work from the internal battery. When it's disconnected the battery is disconnected unless a connector is installed that has wiring to the battery. It's not a good idea to charge the battery through the POWER connector because there's no way to monitor battery temperature. These radios were made in large numbers. And in addition a lot of support equipment was made for this radio. When newer equipment came out if possible it was designed to use the same accessories as the PRC-25. The PRC-77 is a form, fit and function replacement for the PRC-25 with more power, lower battery drain and is crypto capable. It uses the same POWER connector and all the pin assignments for DC power, audio and PTT are the same as for the PRC-25. Note the PRC-77 only uses "12 Volt" power so does not use the low voltage pin. For crypto POWER pin L is reassigned as /Squelch Disable (read not squelch disable) so when a battery is installed and the Z1 cap is connected about +2.5 volts is on this pin enabling Squelch. When a crypto box is connected pin L will be grounded when crypto data is being passed. The crypographic audio was first done using the KY-38 manpack unit that would interoperate with the KY-8 vehicle mounted unit and the airborne KY-28. The same two wide band audio pins as were used for multi channel telephony were used for the voice encryption. When the KY-57 came out it also connected to the POWER connector using the same pins as the KY-38. It was also used in vehicle installations. The KY-58 is the aircraft version that has a remote control panel. The newer MSC2001 voice encryption unit from Germany also uses the POWER connector. Later radios which had commercial model numbers like PRC-1077, PRC-1088 and PRC-1099 came out. These used the same physical size, same battery box and have the same POWER connector on the front panel and like the PRC-77 the audio, PTT, and DC power connections are the same as on the PRC-25 and use common accessories. These radios may reassign the low voltage pin for other uses. 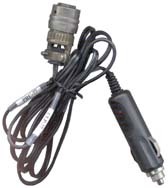 The Z1 (GC U-317/U) jumper plug must be connected for the radio to work from the battery. 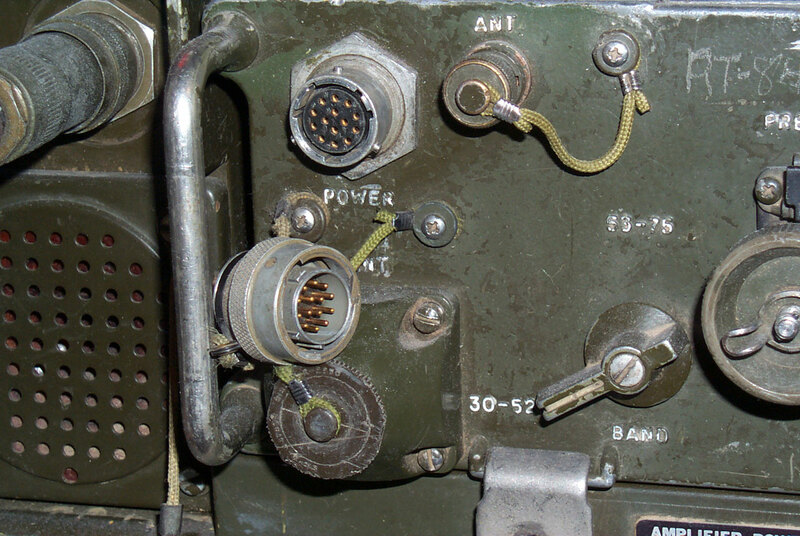 Later the SINCGARS radios, starting with the first generation RT-1439, used this connector for both ends of the CX-13291Cable that controls the stand alone AM-7238 R.F. Amplifier. Usually the MX-10862-J5 -> CX-13291 -> MT-6353-J3 -> AM-7238 this makes a compact system used in tanks. But also can be connected AM-7239-J11 -> CX-13291 -> MT-6353-J3 -> AM-7238 which might be used at a base station where there are two radios in the 7239 and it would be good to have the R.F. Amp closer to the antenna. Both ends of the CX-13291 use the same male plug as you would use for an external power cable for the PRC-25. The CX-13291 Cable is described in TM 11-5820-890-20-1 chapter 4.